Who doesn't like free stuff? 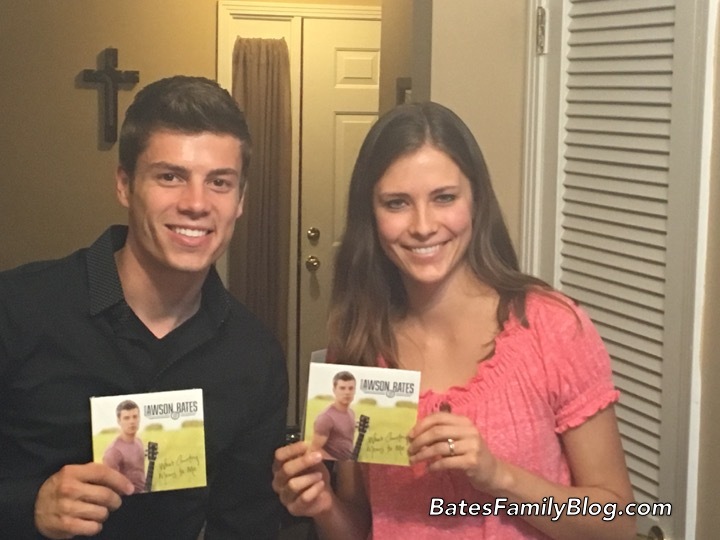 We're giving you another chance to win Lawson Bates' new CD, What Country Means to Me! Follow the prompts on the Rafflecopter widget below to enter to win one of four copies. I haven't ever met anyone in the Bates family but I would like to meet them......maybe someday. I haven't met any of the Bates in person, but I'd love to someday! No, I've never met any Bates. I'm all the way up in Montana!!! I have never met any of the Bates in person but I would absolutely love too! I have never met the bates in person but I have a friend who has seen them multiple times. Hi Lily and Ellie. Thank you so much for doing a giveaway! I love them so much. No, I have never met the Bates but I do love there show and always watch it if I can. They are really awesome people and hopefully I will be able to meet them in the future. Thank you so much for making these blogs. I enjoy reading them daily!!! I never have met them...but I would like to! I have never met any of the Bates by would LOVE to someday. I have never met the Bates... But I hope to someday!!! I have never met the Bates... But I would LOVE to someday!! I've never met the Bates family in person, but I would love to have an opportunity to do so! No, I haven't met them. I've never met them, but will LOVE TO MEET KELLY, and the rest of the bates!!!!! LOVE THE BATES!!!!!!!!!!!!!!!!! I would love to meet a Bates. I live in Illinois. Sadly no, ;I have not had the pleasure. I met Michaela and her husband at a friend's wedding. Such a sweet couple! Hope to meet more of the family someday. I've never met any of the Bates family,but really hope to one day! Kelly Jo seems so positive and down to earth, really the whole family does. I wish she would write a book for mothers,to encourage and offer bits of wisdom! I have never met the Bates family in person, but I feel like they are my extended family. God Bless You All!!!! Hello from West Virginia. No I have not but I would love to. Maybe someday. I have never met the Bates family but I sure would love to meet them! Yes, I met them all at the Christmas Conference in the Indy. I had worked in the mailroom at the Headquarters, when Erin and Michaela came to help out for bit and Zach came with them too. I know Chad Paine because I worked with his family in the mailroom back in 2009. Carlin and Jose, we met at the Pre-Excel girls at the Nashville conference. I never met the Bates, but I hope to someday. No I have not met any of the Bates, but would love to. No. I haven't gotten to meet the Bates but I would love to! No, I haven't gotten to meet any of them. It would be fun to though. Looking forward to one day meeting the Bates! Bates Return in 3 Days!